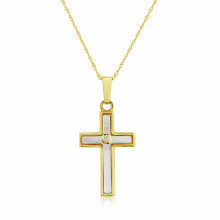 The ideal gift for any occasion particularly Easter or the Sacraments of baptism - christening or conformation. 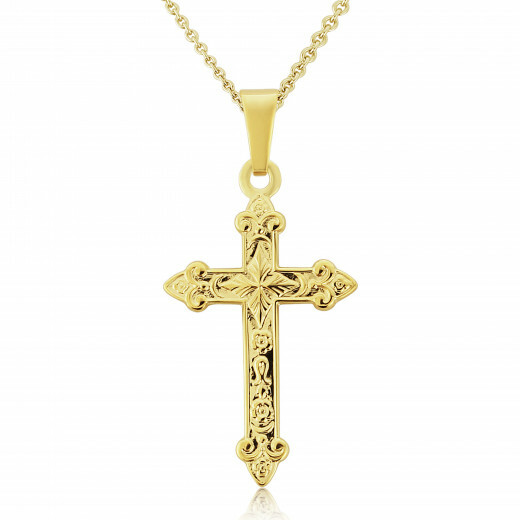 A well-crafted, dainty, and simple ecclesiastical cross intricately decorated. Sacred and highly symbolic this is a special treasure, a commitment to faith that will offer strength for years to come. Hangs on intricate 9ct Yellow Gold 46cm chain (18") with Extension ring at 41cm (16"). Pendent is removable from chain. Available in Rose and White Gold.